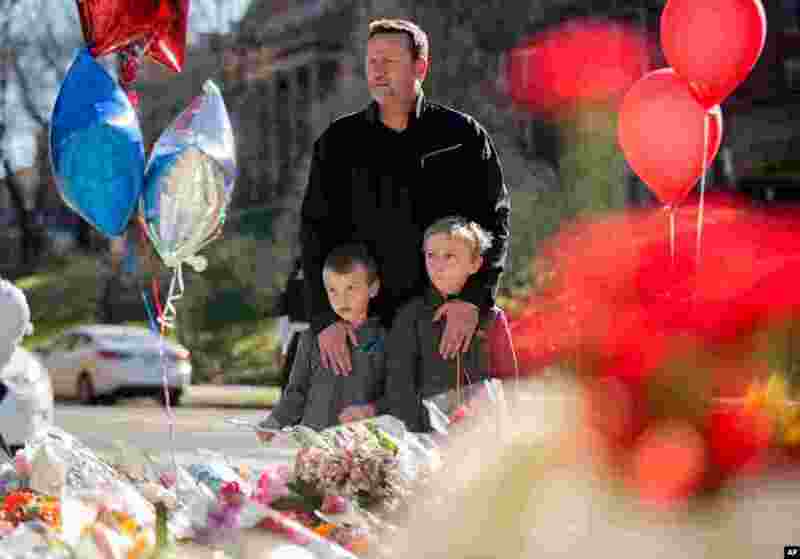 1 A man and his two sons are seen at a memorial outside the gates of the French Embassy in Washington, Nov. 15, 2015. 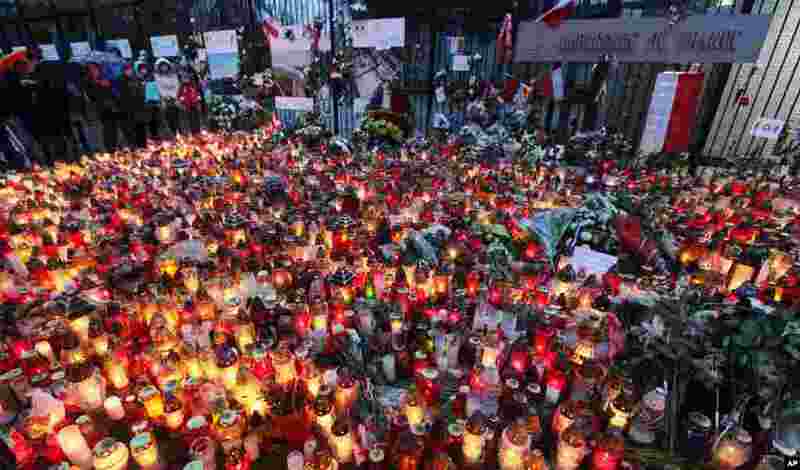 2 People place flowers and light candles for the victims of the deadly attacks in Paris, outside the French Embassy in Warsaw, Poland, Nov. 15, 2015. 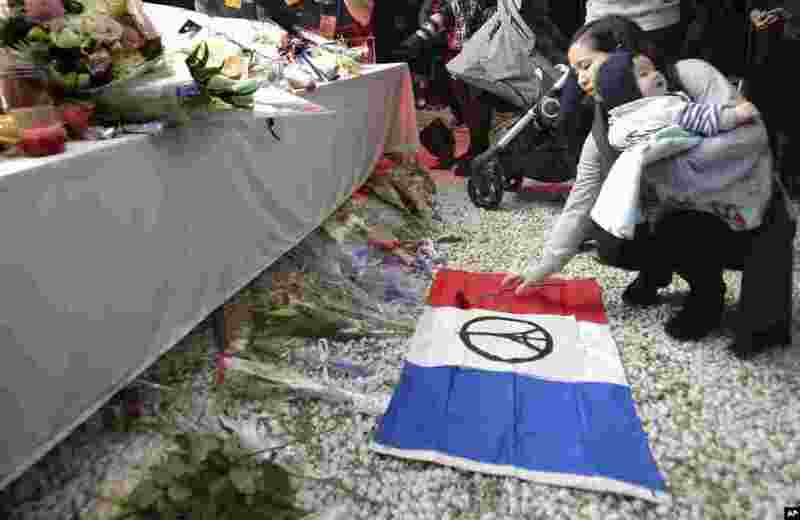 3 A woman offers a flower during a vigil for the victims of Friday's attacks in Paris, at the French Embassy in Tokyo, Nov. 15, 2015. 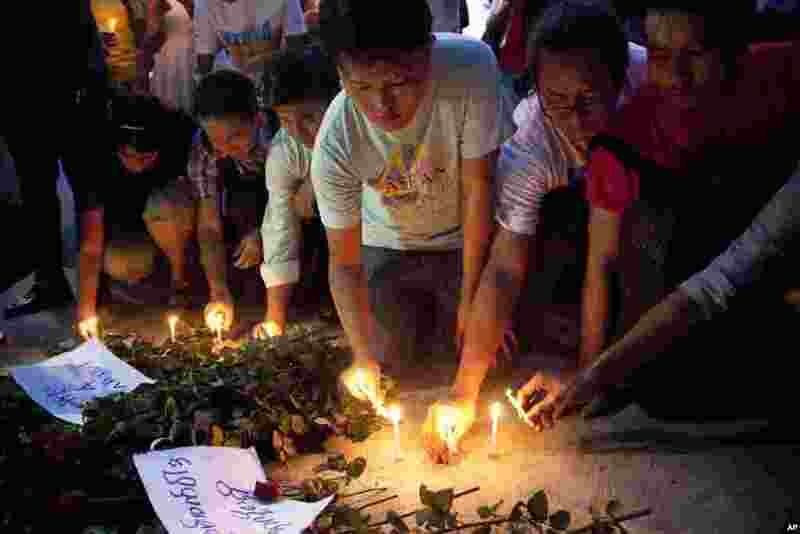 4 People light candles in front of the French Embassy in Yangon, Myanmar, Nov. 15, 2015, in memory of the victims of Friday's attacks in Paris. 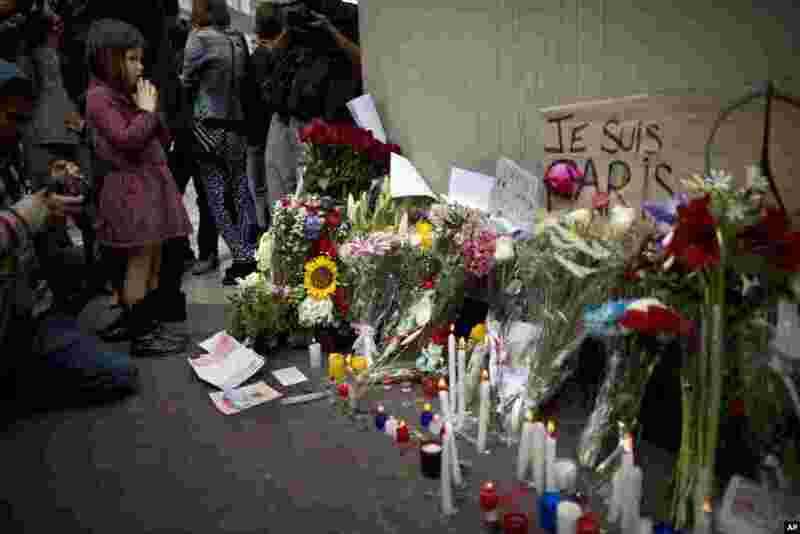 5 A girl prays outside the French Embassy in Lima, Peru, during a ceremony honoring the victims of the attacks in Paris, Nov. 15, 2015. 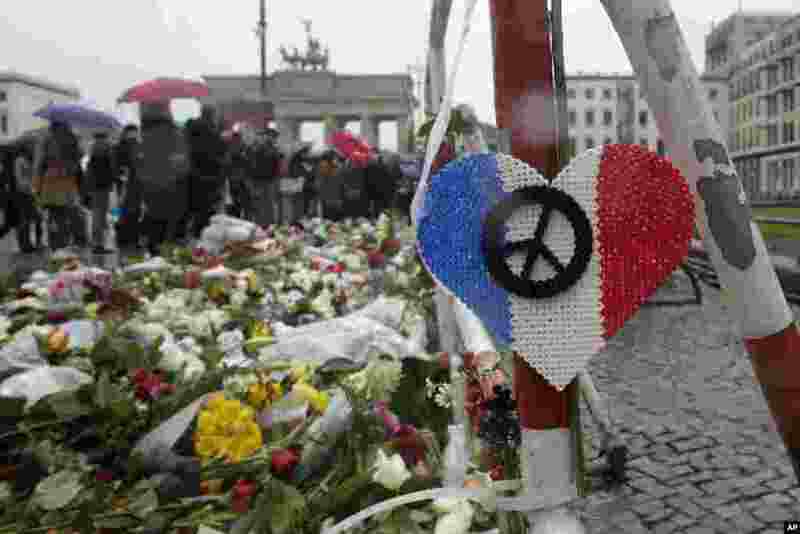 6 Flowers and candles in memory the people killed in the Friday's attacks in Paris are seen in front of the French Embassy near the Brandenburg Gate in Berlin, Germany, Nov. 15, 2015. 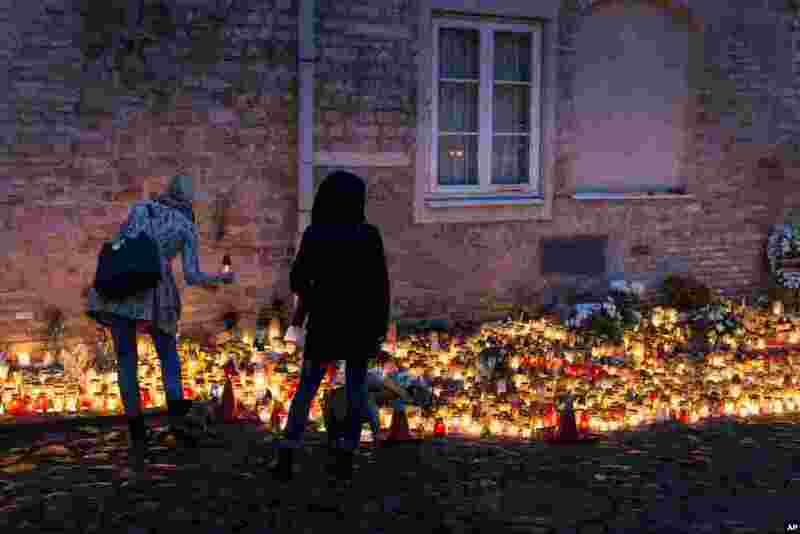 7 People light candles outside the French Embassy in Vilnius, Lithuania, Nov. 15, 2015, for the victims of Friday's attacks in Paris. 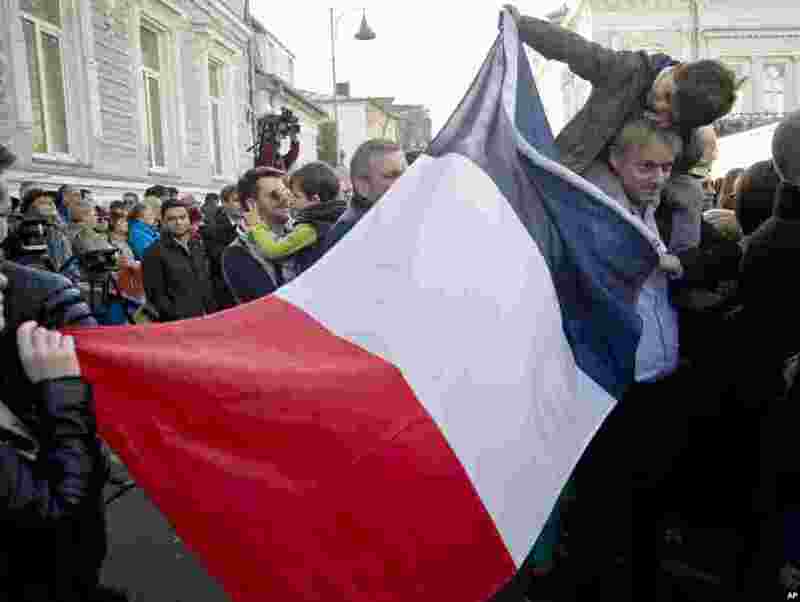 8 People hold a French flag while waiting to pay their respects to victims of the Paris terrorist attacks, at the French Embassy in Bucharest, Romania, Nov. 15, 2015. 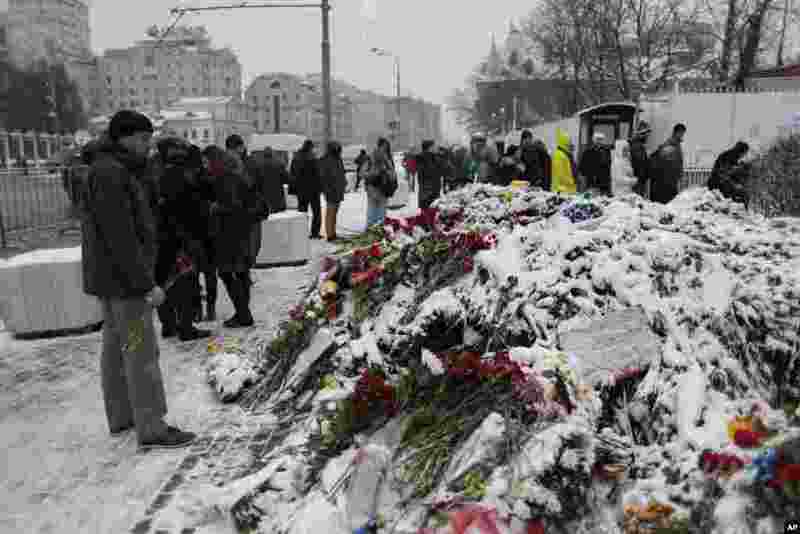 9 People lay flowers in front of the French Embassy in Moscow, Russia, Nov. 15, 2015, in honor of the victims of the Paris attacks Friday. 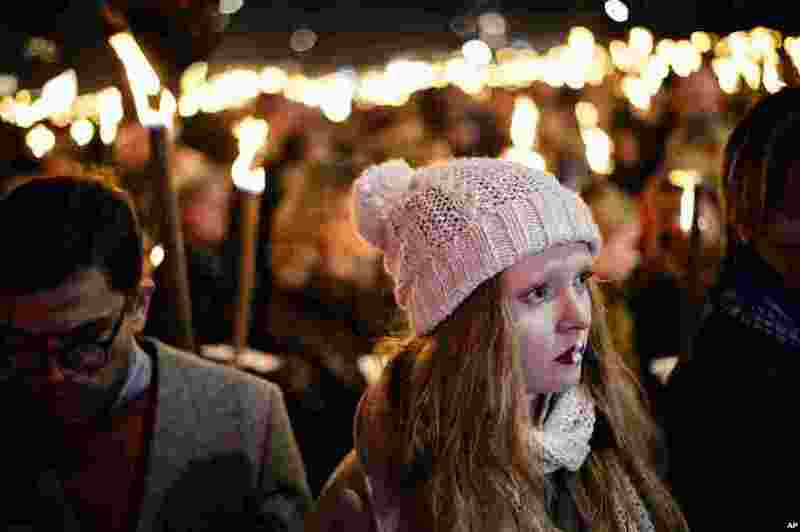 10 Copenhagen residents hold torches as they gather Nov. 15. 2015, at Kongens Nytorv Square by the French Embassy in Denmark's capital to pay tribute to the victims of Friday's Paris attacks.